Size: * 4 lb. 13.5 lb. 27 lb. 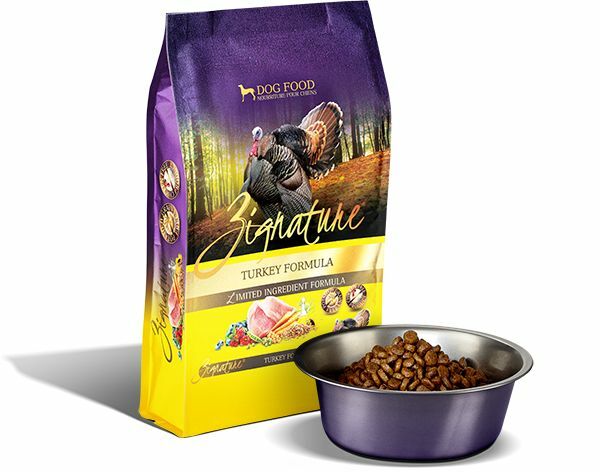 Turkey, Turkey Meal, Peas, Pea Flour, Chickpeas, Sunflower Oil (preserved with Citric Acid), Pea Protein, Flaxseed, Natural Flavors, Dried Beet Pulp, Potassium Chloride, Calcium Chloride, Salt, Chlorine Chloride, Minerals (Zinc Proteinate, Iron Proteinate, Copper Proteinate, Manganese Proteinate, Cobalt Proteinate), Vitamins (Vitamin A, Vitamin D3, Vitamin E, Niacin, d-Calcium Pantothenate, Thiamine Mononitrate, Pyridoxine Hydrochloride, Riboflavin, Folic Acid, Biotin, Vitamin B12), Blueberries, Carrots, Cranberries, Calcium Iodate, Sodium Selenite. Naturally preserved with Mixed Tocopherols.